An analysis published Wednesday in JAMA Surgery found surgical patients used only about 27% of the opioid prescription written for them by a clinician. Those who received larger quantities of the pain medication ended up using more opioids. The study is one of the first to identify that the quantity of opioids prescribed, and not a patient's reported pain, was the strongest predictor of how much they consumed. Patients reported receiving an average of 30 pills per prescription but using an average of only nine. The findings raise concerns that overprescribing may continue to play a leading role in exposing patients to the risk of opioid misuse despite increased efforts by the medical community in recent years to promote better prescribing practices. "Excessive opioid prescribing after surgery is not limited to single, outlier procedures or institutions but is widespread," study authors concluded. "Recognizing overprescribing and accurately identifying patient consumption after surgery is the first step in improving prescribing practices." The study, conducted by researchers at the University of Michigan, included reported data from more than 2,300 patients who had one of 12 different surgical operations at 33 Michigan hospitals between January 1 and September 30, 2017. Data was obtained from hospitals participating in the Michigan Surgical Quality Collaborative (MSQC), a consortium of 72 providers from across the state funded by insurer Blue Cross and Blue Shield of Michigan that share surgical outcomes information to develop quality improvement strategies. Data from MSQC found that surgeons had the highest rate of opioid prescribing among other medical specialties three months following a surgical procedure, accounting for 60% of prescriptions within that timeframe. Patients who underwent surgery to repair a hernia used the most opioids while those who had either an appendix or thyroid removed used the least. But all patients were found to use more opioids when they received larger quantities. Patients were found to take an average of five pills for every 10 additional pills prescribed. Previous research has pointed to widespread opioid overprescribing after surgery. A 2017 JAMA Surgery study found 67% to 92% of patients reporting having unused opioids leftover after an operation. Evidence has found many patients do not dispose of their excess opioids medications when they are done using them, which has led to pills being distributed to others and has become a leading source of opioid abuse. An estimated 54 million people have used prescription painkillers for non-medical reasons at least once, according to the National Institute on Drug Abuse. 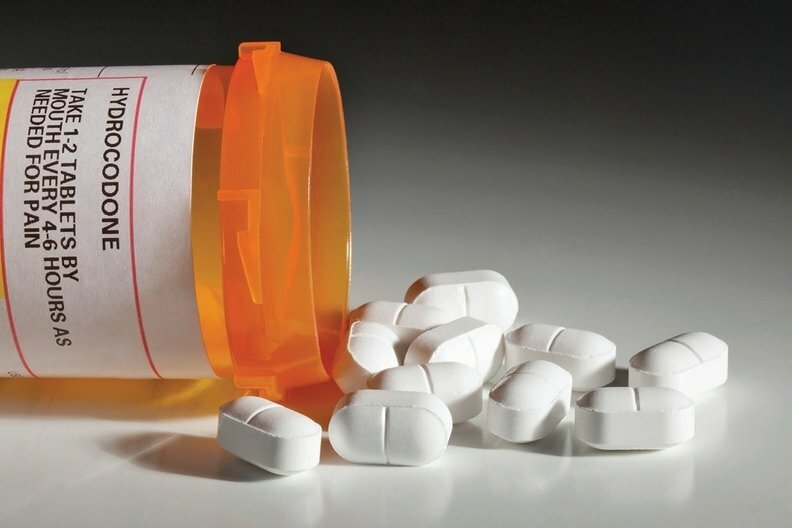 Study co-author Dr. Michael Englesbe, a transplant surgeon at University of Michigan and program director for the MSQC, said the findings help illustrate the influential role prescribers have in setting patients' pain expectations when they write prescriptions for more pills than what may be actually needed. "If you go to a buffet, really how much you eat is determined by how much food you put on your plate," Englesbe said. "I think some patients are just inclined to take all of their pain pills and then they can really struggle to stop taking them." The study recommended healthcare providers begin incorporating patient reports of their opioid consumption when creating prescribing guidelines as a means of developing better prescribing practices. Michigan hospitals are already moving in that direction. Englesbe said MSQC hospitals have begun updating their prescribing guidelines based on the study's recommendations. He said the group is currently in the process of helping more hospitals throughout the state update their prescribing practices. The updated guidelines among surgeons at University of Michigan has led to a 63% reduction in opioid prescription size with no changes to patient-reported pain scores or increases in the number of refill requests. Englesbe said researchers plan to test the updated guidelines with more complex surgical cases. Over the next couple years, they hope patients won't need any opioids to treat postoperative pain for the majority of procedures. But that depends on reducing clinicians' exclusive use of opioids as their primary option to treat pain, which meant identifying and adopting the use of more alternative therapies. "It's not about leaving patients in pain it's about giving them better pain care," Englesbe said. "Surgeons I think really need to lead that practice change."